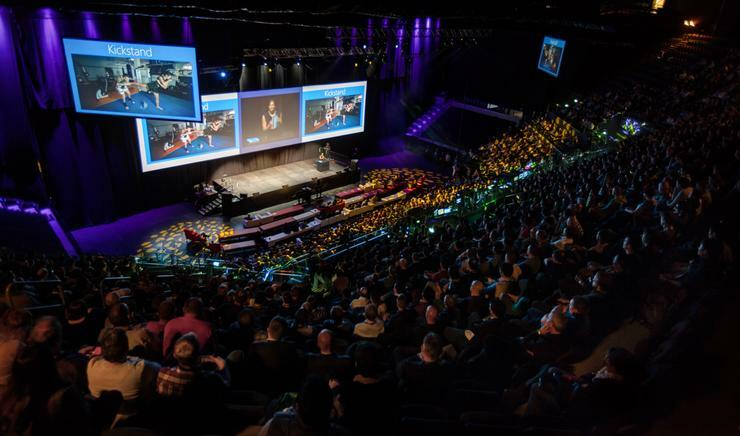 “Since the first TechEd was held in 1996 with just 12 sessions, this event has been transformational for the Kiwi tech industry over the last 20 years." Microsoft New Zealand has announced that to celebrate the 20th year of hosting the nation’s biggest annual technology event, it will be changing the event’s name from TechEd NZ to Ignite NZ, and aiming to deliver the most impressive speaker line-up in its history. Registrations for Ignite NZ are now open for the event which will run from September 1-4 2015 in Auckland. Paul Muckleston, Managing Director for Microsoft New Zealand, says Ignite NZ will bring together everything that the Kiwi technology industry has come to love about the annual event, with a clear new focus that aligns with Microsoft’s global approach to equipping the industry for business in a mobile-first, cloud first world. “Since the first TechEd was held in 1996 with just 12 sessions, this event has been transformational for the Kiwi tech industry over the last 20 years,” he says. Muckleston says Ignite NZ will open with a distinguished line-up of international keynote speakers to be announced soon, including a fully themed launch event called Ignite Kick-off at Vector Arena on September 1. Like last year, the conference will then continue at SKYCITY convention centre, where the best and brightest minds will present over 140 sessions to an anticipated audience of over 2,500 attendees on a wide range of topics including cloud infrastructure and management, productivity, big data and the Internet of Things, unified communications, mobility and more. Ignite NZ will also play host to several additional events including the Microsoft Partner Connect event, and the return of the popular ‘Women in Technology’ evening function that will provide an opportunity for all attendees to celebrate and learn from key successful women in the IT industry. INSIGHT: Public speaking, do men and women need to do it differently? Can the NZ IT sector recruit employees?